note: Recently my team and myself are all sick… some packages shipping are delay. We will handle them in this week. Some people on forum ask about this, this is my working solution to connect ethernet with VoCore2 P0 port. I have tried my best to make it simple, but only this way works. 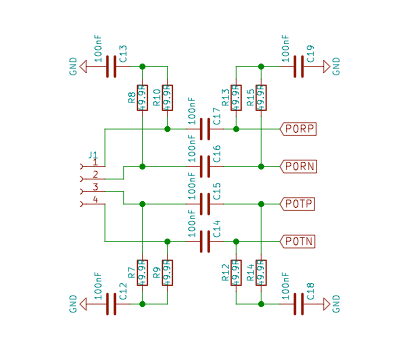 It require at least eight 100nF cap at 50V(depends on your usage), also eight 49.9ohm resistor. 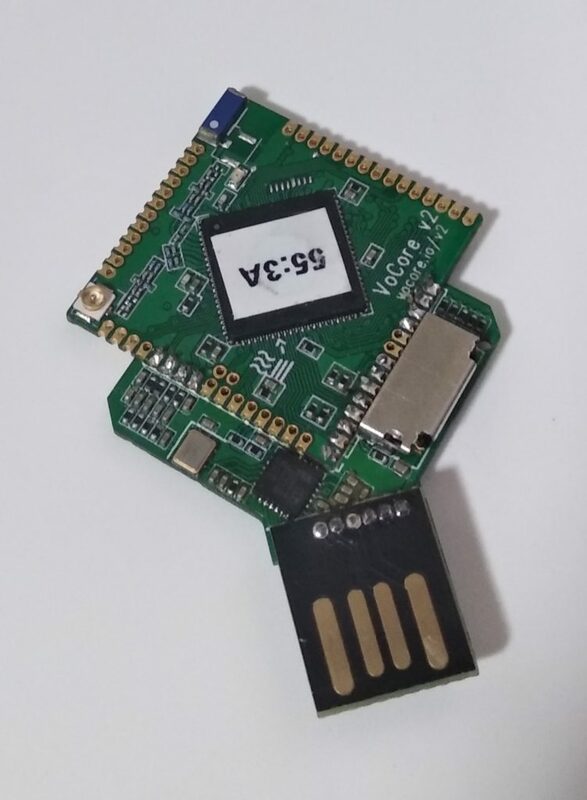 Currently I have done a new version of VoCore2, it has a USB to ethernet and one microSD slot. just want to make it thiner and easy to use. PS:new version of VoCore2 now is using 0201 instead of 0402 for RF part. Its signal is better. This entry was posted in VoCore on 2018-09-17 by vonger. This entry was posted in VoCore on 2018-09-07 by vonger.